Fred (my dad) sent this amusing "scientific analysis" of two "aquatic species," probably based on a photo (he says "illustration" but I think that's part of the joke) that was enclosed with the letter. 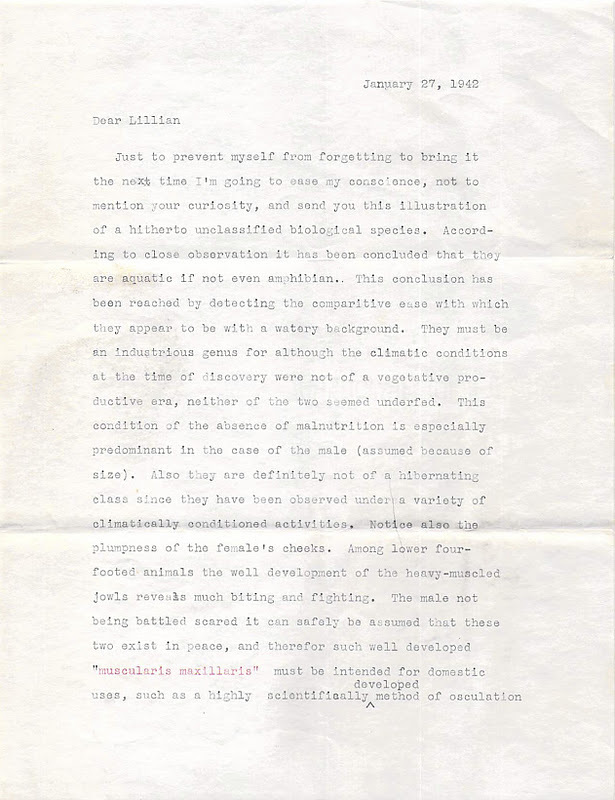 He typed it up almost exactly 70 years ago, on January 27, 1942. It was written three months before his job loss at the Kingsbury Ordnance Plant (see War and Bigotry, An FBI Investigation, and Anti-American Hobbies). 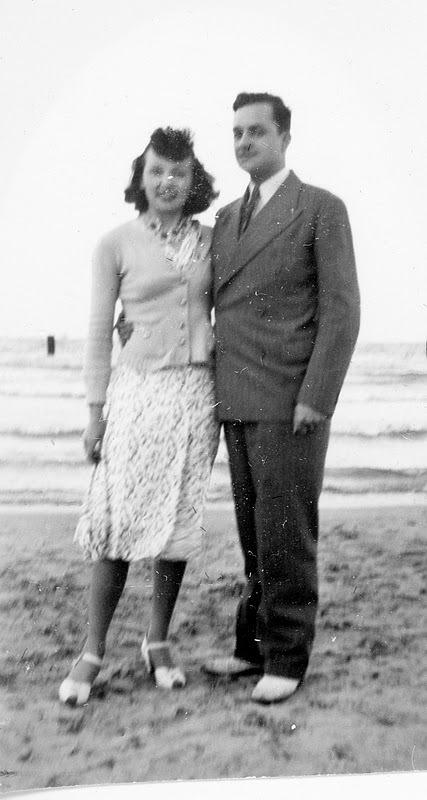 The "illustration" or photo wasn't saved with the letter, but based upon the content, my guess is––it is related to this picture, the first photo taken of my parents together, on August 27, 1941, on an early date at a Chicago beach. To read Lil's entry about their date, click on Love is dancing by ourselves. Dad uses his scientific background to express affection through the back door of humor. The letter is a little faded so I've transcribed it, editing a few typos, to make reading easier. Just to prevent myself from forgetting to bring it up the next time, I'm going to ease my conscience, not to mention your curiosity, and send you this illustration of a hitherto unclassified biological species. According to close observation, it has been concluded that they are aquatic, if not amphibian. This conclusion has been reached by detecting the comparative ease with which they appear to be with a watery background. They must be an industrious genus for although the climatic conditions at the time of discovery were not of a vegetative productive era, neither of the two seemed underfed. This condition of the absence of malnutrition is especially predominant in the case of the male (assumed because of size). Also, they are definitely not of a hibernating class since they have been observed under a variety of climatically-conditioned activities. Notice also the plumpness of the female's cheeks. Among lower four-footed animals, the well-development of the heavy-muscled jowls reveals much biting and fighting. The male, not being battle-scarred, it can safely be assumed that these two exist in peace, and therefore, such well-developed "muscularis maxillaris" must be intended for domestic uses, such as a highly scientifically developed method of osculation, which has been observed from time to time. It might here be mentioned that the recipient of such outbursts was well satisfied with the results. Science shall do its utmost in attempting to civilize and domesticate this rare type---but I doubt whether they will be successful. - - - - You had better get a drink, and a good strong one, at this stage, if you're still conscious. I'm sure you'll need it. Be seeing you soon. 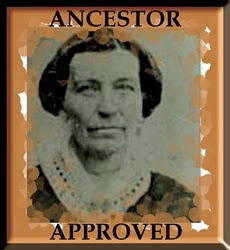 Tomorrow, Wednesday, February 1st, I'll be posting to the annual "Carnival of Genealogy I-Gene Awards." For those of you not familiar with the CoG--I-Gene Awards, it's a take-off on the Oscars, appropriate for this prize-frenzy time of year. All entrants post links and brief "award highlights" in five categories from their previous year's posts: Best Screenplay, Best Documentary, Best Picture, Best Biography, and Best Comedy. I won't be sending out an email blast on this one, so as not to clutter your in-box, but do drop by if you want to see my choices from 2011. 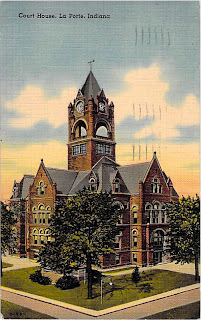 The last two posts have detailed the anti-German bigotry my father faced in his work at the Kingsbury Ordnance Plant in La Porte, Indiana, where he had begun work on March 30, 1942, as a blasting powder blender. 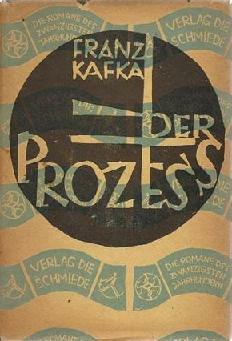 Similar to the character, Josef K. in Kafka's novel, The Trial, (Der Prozess) who is arrested, but never told why nor who ordered the arrest, my father was summarily fired on May 4th from his job as a blasting powder blender, but no one could tell him why nor who was responsible. Normally non-confrontational by nature, Dad refused to abide this travesty, and doggedly pursued an answer, which boiled down to this: he crossed his sevens, he made his cursive "F" with a flourish the company deemed "too German," and of course, his parents were ethnic Germans––but the family actually hailed from Transylvania (now Romania), not Germany, and had since 1770. After an intense grilling by the personnel director, Mr. Hibbert, ("I had to answer 1,000 questions and my life was chopped into tiny pieces," Fred wrote), Mr. Hibbert said he was satisfied, and Dad had high hopes to return to work. But alas, it was not to be. Apparently he had two very "un-American" hobbies, as you'll see in the letter below. 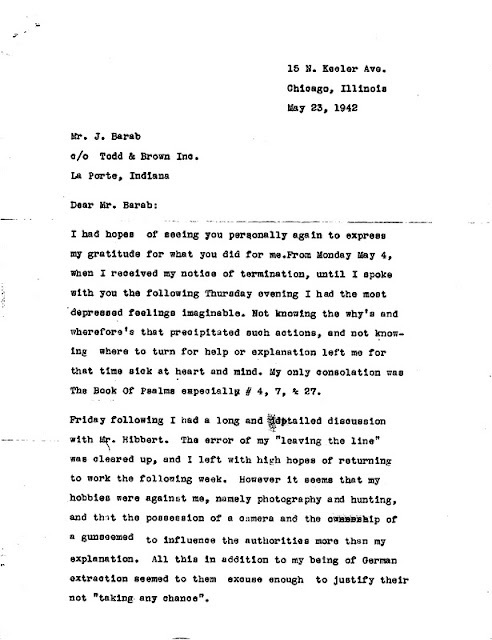 Fred wrote the following letter to Mr. Barab, the man who had been given the order to fire Fred with no explanation, but later, after Fred tracked Barab down at his home, arranged for Fred to have meet with Hibbert. 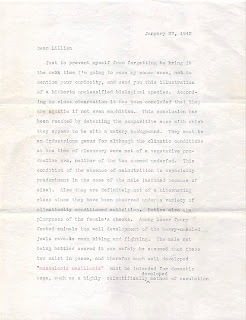 Under the circumstances, I find this letter to be extraordinarily gracious. 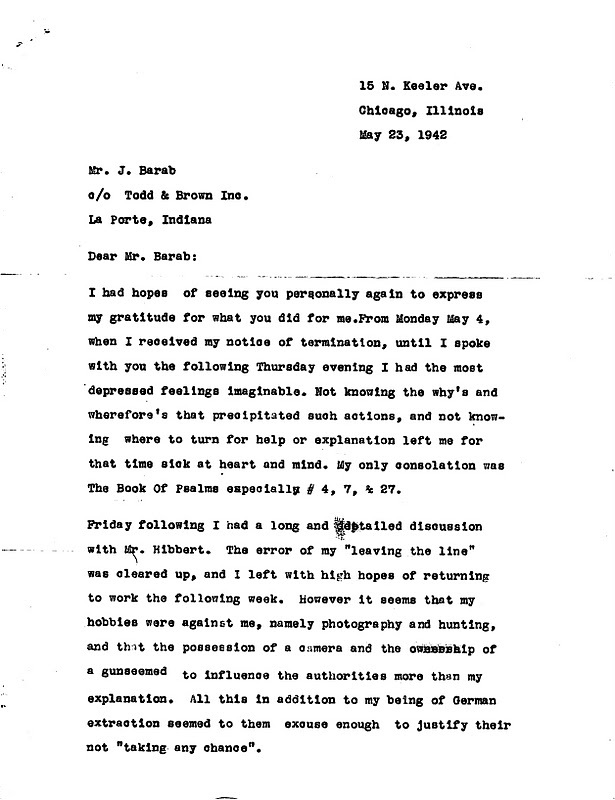 Fred ends the letter saying he couldn't have left Indiana until he had received an honest explanation of the reasons he was fired and the chance to clear his and his family's name. He thanks Barab for making the meeting with the assistant personnel director, Hibbert, possible so he, Fred, could finally get a straight answer. Fred then asked if he may use Barab as a reference. Hibbert allowed him (Fred) to resign voluntarily so that Fred's opportunities for future employment , weren't jeopardized. Hibbert, too, promised to give Fred good references. In the end, however, Fred still lost the job, even after the lies and suspicions proved unfounded. An employee who enjoyed hunting and taking photos was just too great a risk! No qualms existed, however, a few months hence, in drafting Fred's younger brother to fight in the war. It's not surprising that a country becomes more paranoid during wartime, but this trip into my father's past has reminded me that we must be on-guard not to let bigotry deny our fellow Americans whatever their ethnic heritage, and even our foreign neighbors, fairness and due course of justice. 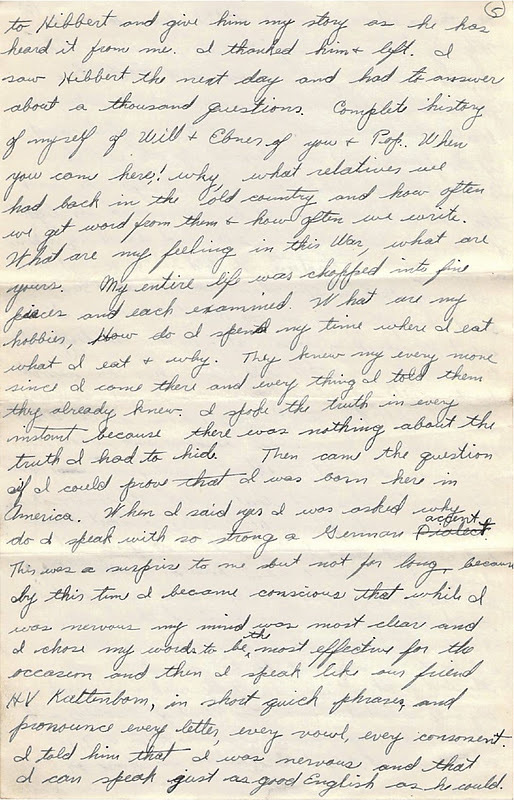 Next week we'll return to Fred and Lil's romance, this time with a tongue-in-cheek letter Fred sent to Lil seventy years ago, on January 27, 1942. It's a "scientific analysis" of the two of them a "hitherto unclassified biological species!" He doggedly pursued anyone who could enlighten him: he met with the head of his lab who said he’d heard Fred was reported for leaving his post and disappearing for an hour, a lie. He told Fred to again see Mr. Barab, who had dismissed him in the first place. Unable to find Barab in his office, Fred went to Barab’s home to plead his case, again asking to be accused directly so he could defend himself. 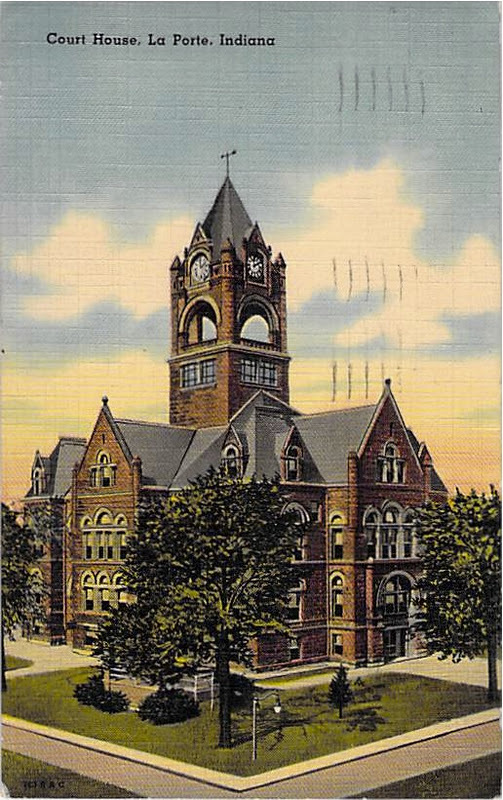 Barab told him to see Hibbert, the assistant personnel director, who, perhaps at Barab's urging, was willing to see him sooner than ten days. “They knew my every move since I came there and every thing I told them they already knew.” Apparently he’d already been investigated. “I spoke the truth in every instance because there was nothing I had to hide." “This surprised me. Then I became conscious that I was nervous, but my mind was clear, and I chose my words to be the most effective. [It resulted] in my speaking in short, quick phrases, pronouncing every vowel, every consonant. I told him I can speak just as good English as he could." 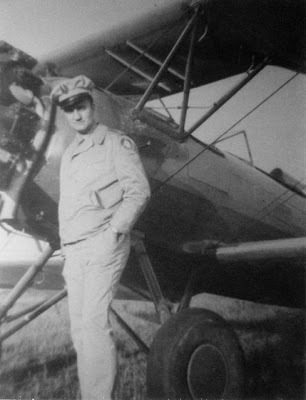 Hibbert wanted to know where Fred learned to write and why he crossed his sevens and made an “F” like a German “F!” Fred responded, “I told him it was plain habit and he and the country had nothing to worry about where our loyalty was concerned. Hibbert ended the interrogation by saying he was satisfied and that Fred should come see him Tuesday. Fred believed he had saved his job. He ended the letter to his mother by writing, “I wanted so badly to come home for Mother’s Day, but the honor of the family name comes first. If I was ever homesick and wanted someone to talk to and listen [to me], it was this last week. I was mentally sick and a wreck. My only consolation was the Book of Psalms and therein was my answer." Psalm 4 "...thou hast enlarged me when I was in distress..."
Psalm 7 (A prayer for vindication) "...save me from all them that persecute me, and deliver me..."
Psalm 27 "...When the wicked advance against me to slander me, it is my enemies and my foes who will stumble and fall..."
Dad was not super religious, but he had been a regular Lutheran church-attendee since childhood, sang in the choir, and apparently was familiar enough with the Bible to take consolation from reading several Psalms. '"It gave me a complete feeling of confidence and self-expression...and gave me the assurance to stand up for my just rights and made me able to take all those questions and drilling unafraid." After all that, Fred felt confident he had settled any further questions about his loyalty and fitness for his employment, for which he had given up so much. Next week we'll learn the conclusion. Comments always welcome. Please click on "Post a Comment" in red, below. 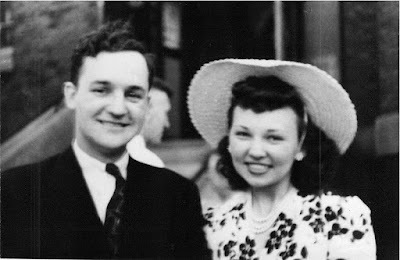 In the post, Explosive News, we heard that my dad, Fred, a chemist, quit his job with Lanteen to make almost double the salary as a blasting powder blender at the Kingsbury Ordnance Plant in LaPorte, Indiana. He started the job on March 30, 1942. 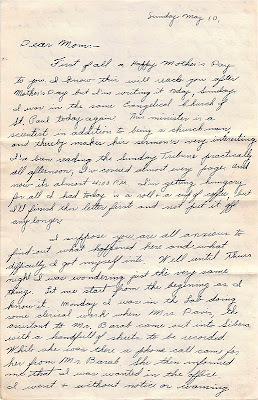 After Lil’s Easter post on April 5, 1942, she didn’t write for several weeks, until she made this startling entry. Fred lost his job in Indiana through no fault of his. He felt so blue, poor guy, particularly over the injustice of it all. One thing Fred did find out through this experience is that he could fight back against any odds. He didn’t give up until he found out why he was canned. [Mom also turned to shorthand in this entry, discussing what she understood about the dismissal (revealed below)––but clearly wanting to keep her thoughts hidden, perhaps for the same reasons Fred was fired? Thank you to Sandy Arnone, blogger extraordinaire at Spittal Street, for helping me decipher sections of Mom's shorthand]. But many are unaware that thousands of German-Americans also suffered this knee-jerk discrimination. Internment camps were set up to hold not only Japanese Americans, but also those with Italian and German heritages. My father became victim to anti-German bigotry, despite the fact that he and his brothers were natural-born American citizens and both his parents had attained American citizenship around 1920. A further irony is that my father’s parents had no affiliation to Germany: they were from Transylvania, in Romania after WWI, ethnic Germans whose ancestors had emigrated from Alsace in 1770 (my grandfather’s side) or had been driven out of Austria in the 19th century (my grandmother’s side), the latter because of religious bigotry against Lutherans. 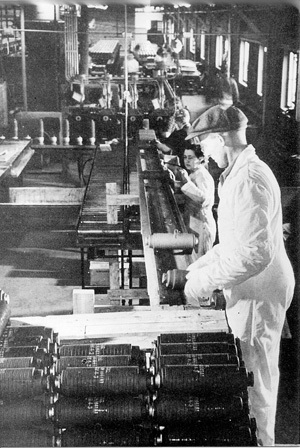 Dad had often told the story of how he was fired, without warning, from the Kingsbury Ordnance Plant, just two months after starting, but I recently found a letter that detailed his reaction to this traumatic experience as it unfolded. 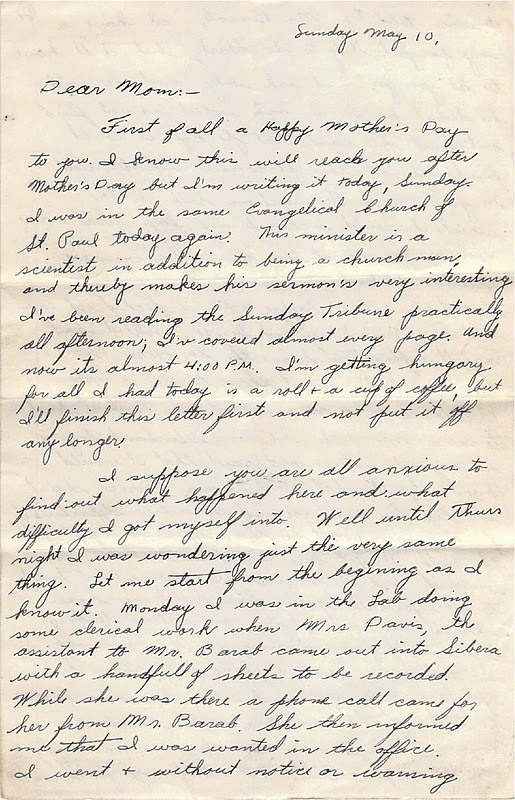 On Sunday, May 10, 1942 (Mother’s Day), Fred wrote an eight-page letter to his mother and family, explaining his summary dismissal, the outright lies and run-around about the reasons behind his firing, and how he fought back to get at the truth and clear his and his family’s name. As Lil notes in her diary entry, he tapped a reservoir of confidence he hadn’t realized he possessed. These are the key events in the story, all culled from that May10th letter. “Why?!" Fred was flat-out blindsided. Barab gave Fred a “termination slip” so he could pick up the pay due to him. A security guard escorted Fred to Personnel, to ensure he turned in his identification badge. “I certainly don’t know what’s wrong!” said Fred. “This entire department is incompetent if I can’t even get the truth!” For my dad, who hated confrontation, this aggressive statement reflected the level of outrage and frustration he felt. “My work has always been satisfactory,” he told Vail, who summarily dismissed Fred from his office. Going back to the Personnel office, the security guard pressured Fred to give up his badge because his day was up and he wanted to go home. “I’m not leaving until I find out why I was fired,” Fred told him. “It may be a little overtime for you, but to me it’s a job." In my goal to keep these posts readable within a few minutes, I'm breaking up this story into parts. I'll continue the story of how doggedly Fred had to work to track down the real reason for his firing next week with "An F.B.I. investigation of the whole family?!" 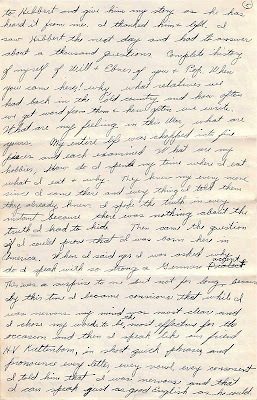 On March 22, 1942, Lil has written that she felt “like a hussy” kissing both Burt and Fred and four months after dating the two of them was feeling the stress of indecision. Just a week later, something clicked. Burt and I went [out]. Had a pretty nice time. Had a flat tire so Burt and I changed tires at 1:30 a.m. Suddenly like a bolt out of the blue it came to me definitely and decisively that Fred is the one and only for me. Just no shadow of a doubt left. Funny isn’t it? I saw Mom’s sudden flash of intuition in decision-making repeatedly over the years. Or maybe it’s just typical of true love. In any case, certainty has replaced doubt. Now she just had to be patient for Dad to get around to figuring out––or at least saying out loud––that she’s the one for him. Time to spend a holiday with Fred's parents––at the crack of dawn no less. This had to be love, because Mom was by nature a night owl and getting up for a sunrise Easter service was assuredly quite a sacrifice. Easter Sunday, 1942. The outfits look very "Easterish"
and I recognize Bethel Church behind them. We went to Fred’s church––the whole family. While driving to his house, Fred told a little joke. “I aint’ committin’ myself,” he replied. “For a few minutes, that made me angry. We had a wonderful day, though. 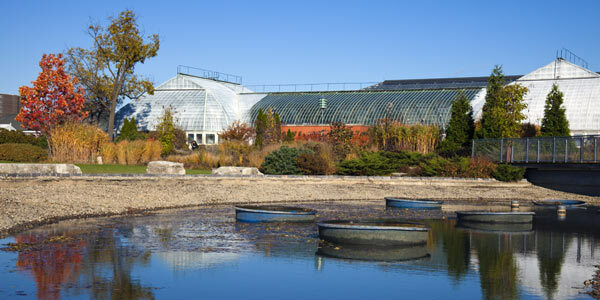 After dinner at Fred’s, we went to the Garfield [Park] Conservatory where we met Kenny and Arlyne. Then for a drive and dinner at Olson’s. How will that suit you, Lillian?” Kenny joked. I’m sure some day I’ll be Mrs. Fred Gartz. He’s just right for me and vice versa. I know we could certainly make a great success of it. Dad had a very sensitive nature, and, conditioned by a controlling mother to avoid revealing his feelings out loud, my interpretation is that he feared exposing a heart that might be trampled. But Mom's confident prediction is enough for both of them––for now! But then there's that "Explosive News" (click to see post) Fred gave Lil that he's been hired as a "blasting powder blender" at the Kingsbury Ordnance Plant in LaPorte, Indiana. Little do they knew that this job will shortly "blow up in his face" when the insidious bigotry of a country at war infiltrates the minds of narrow-minded, frightened men.